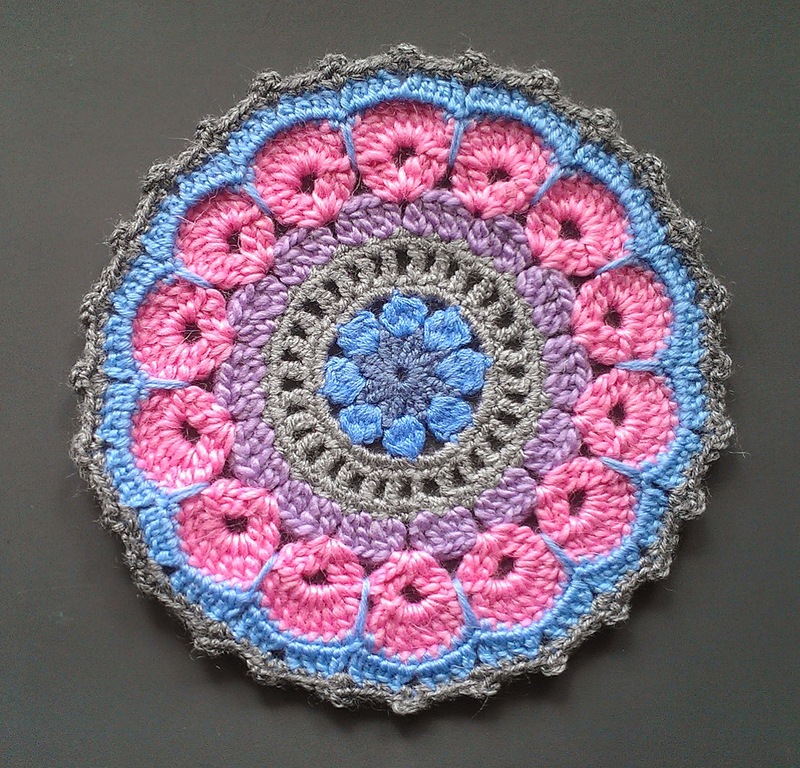 Are you making mandala for Yarndale 2014? I couldn't stay away from this beautiful event. After reading Lucy's post about mandalas and her great idea of mandala wall installation I was sure I'm participating. I took the box of my yarn leftovers, picked up the colors and choose the pattern. I've looked through a lot of inspiring colorful mandala patterns on pinterest, but I decided to stop on this one - it has like a wheel motif in the center and something floral. I have to say that crocheting mandalas is very quick, easy and so addictive. Do try making one or more.